A beautiful replica of the dress worn by Angelina Jolie in Maleficent. A rich, black satin pleated robe with front zip and silver zipper pull detail. The robe feautures large, billowing sleeves, a double stand-up pleather collar and a sweeping train. There is a separate, pleather neckpiece that closes with a snap. 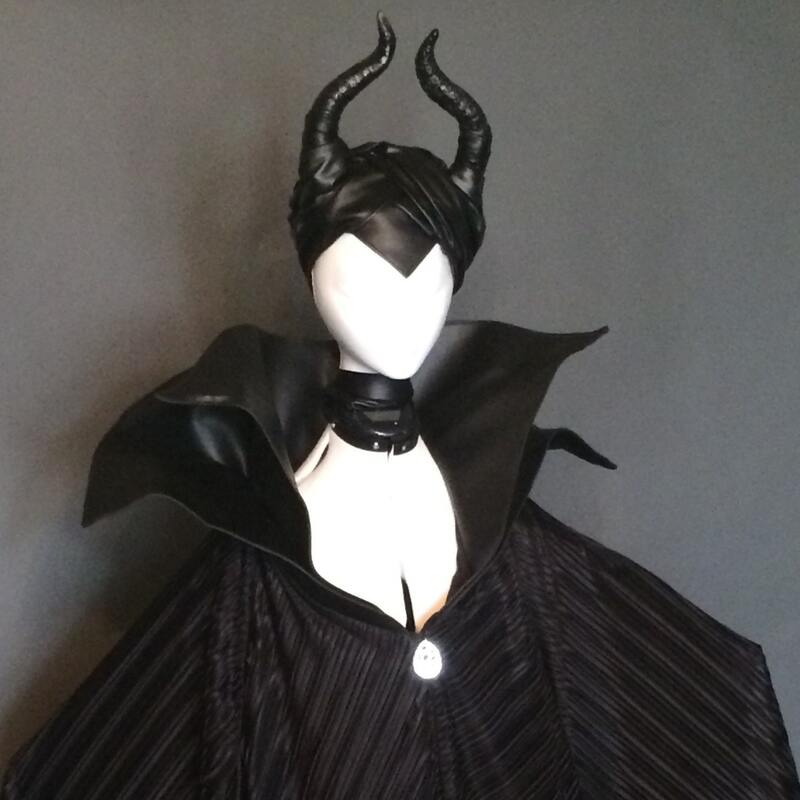 The head piece features a hand sculpted base and horns and is painted and wrapped in stretch pleathers to fit comfortably over your head.